Comments: A??? (female) Davis (Nee: ) | TX United States | 1901-1920 | Comments: Photo purchased at a garage sale in NE Texas area many years ago. 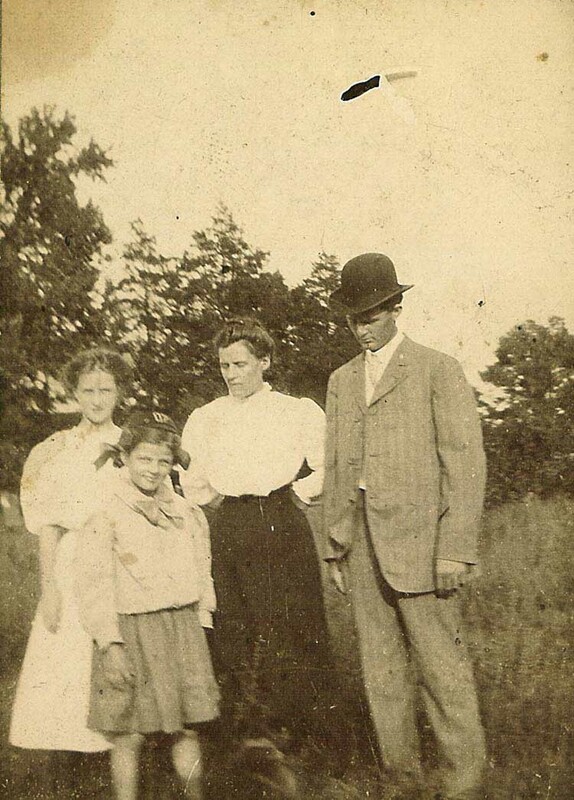 Inscription on back "Family of W. Davis Except our baby (who) died 10 of Nov 1900 1 Inez 2 Irene 3 ? 4 W. D."